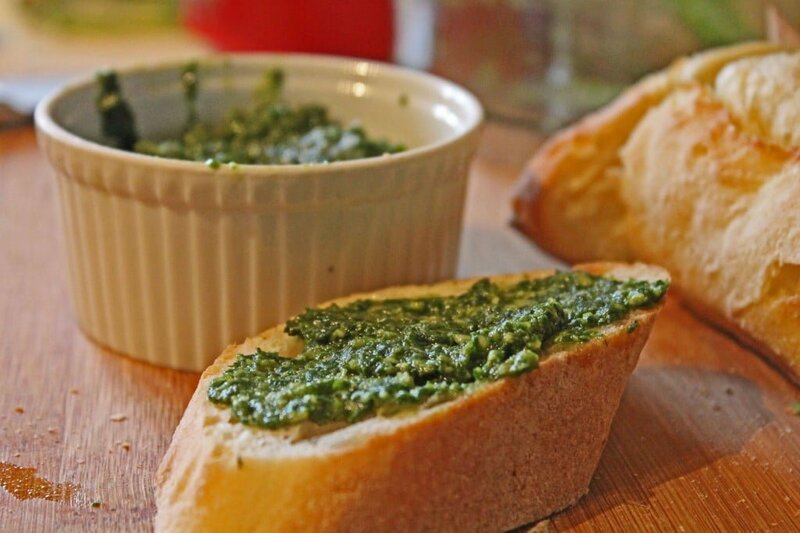 Pesto is one of those things that people don’t often think about making themselves and frankly I had never actually made it homemade until recently; surprising coming from a gal that almost never buys things pre-made. I had bought a bunch of basil for a previous dish, of which I only used, oh about a tablespoon or so. So of course I had leftover and of course I was absolutely not going to waste it. I didn’t have pine nuts on hand but did have almonds so I threw a handful of those guys in and out came a delicious almond pesto which I now actually prefer over the classic version. 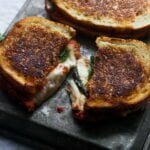 Slather on crusty bread for a great appetizer, toss with hot pasta and pasta water for a great sauce; stuff chicken, (recipe to come later); or just eat by the spoonful like I do. 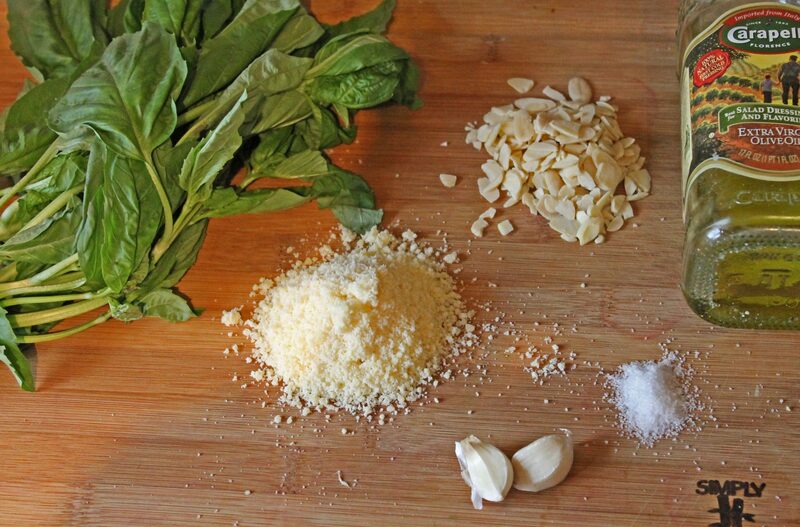 You’ll need: fresh basil, parmesan cheese, almonds, garlic, olive oil, and salt. There’s lemon and canola oil too but I added that at the end, so just pretend it’s there. Roughly chop basil and garlic. 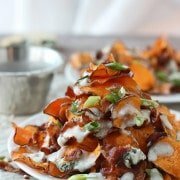 The food processor will do most of the work for you. 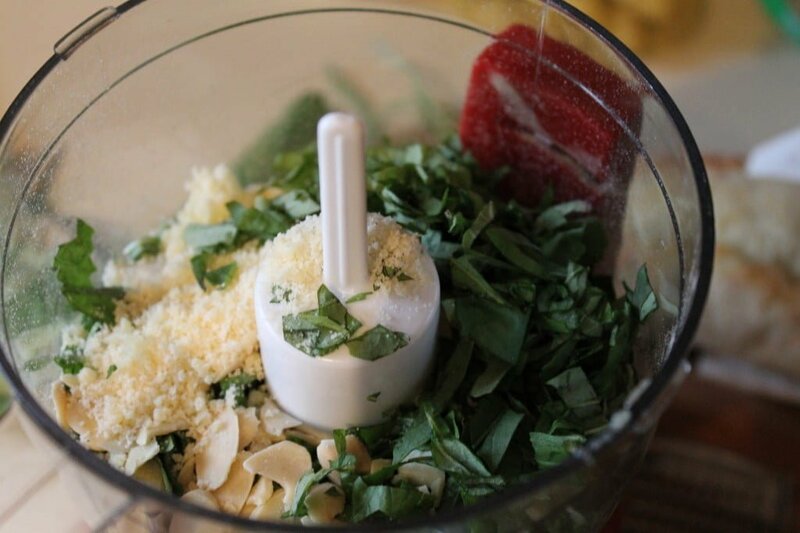 Add basil, garlic, almonds, lemon juice, and cheese to food processor, pulse until combined. 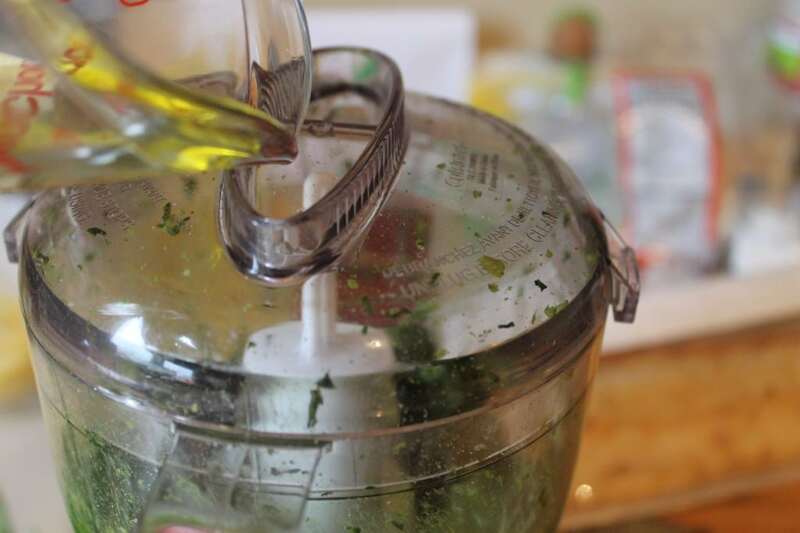 I like to use a combiniation of olive oil and canola oil since the olive oil can be slightly overpowering at times. 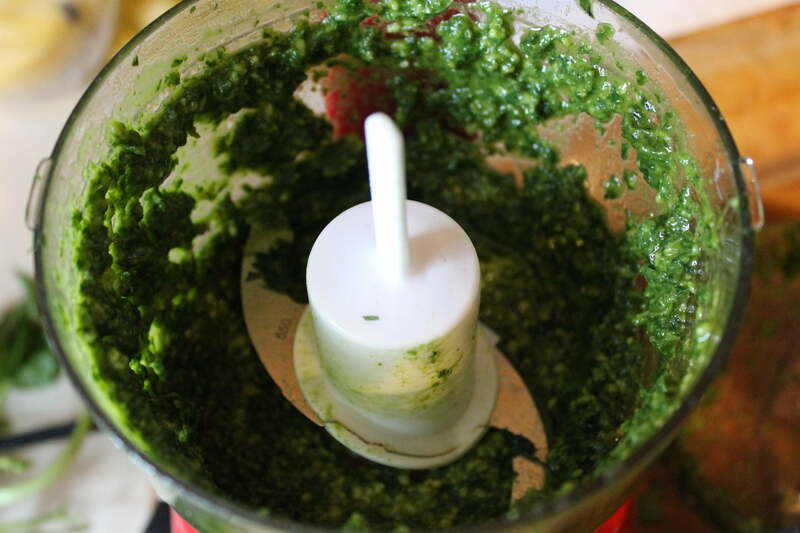 Slowly drizzle in while machine is running..
Until the pesto is loose but not runny and looks very similar to this. 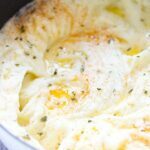 You may have to add in a little bit more oil to get the correct consistency. Season to taste with salt and a little pepper. Yumm. 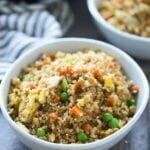 Combine all ingredients except oil in food processor or blender. Blend until a paste has formed. Slowly drizzle in both oils. Season to taste with salt and pepper. 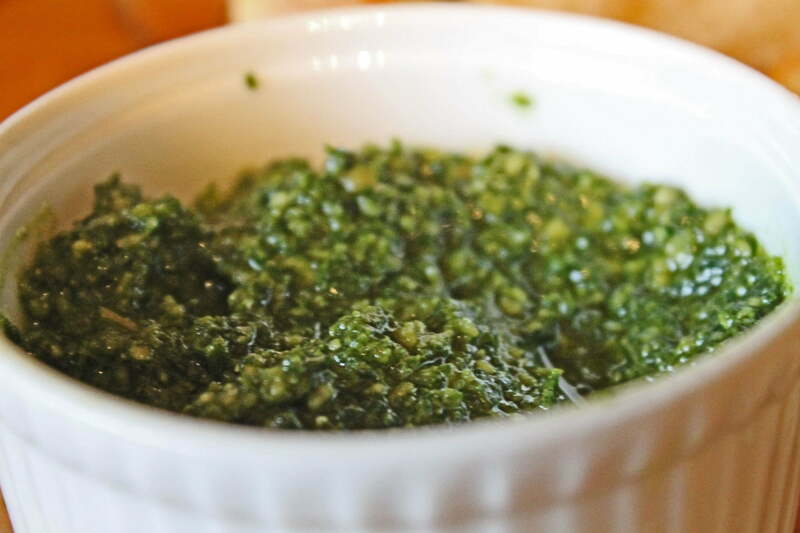 4 Responses to "Almond Pesto"
I am so excited about cookingforkeeps. 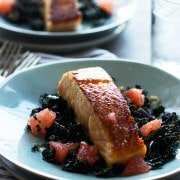 It is so nice to get some fresh new ideas for some very tasty dishes. Makes it even better coming from MY granddaughter ! Thanks!! Hopefully Kevin and I will have a house soon and you guys can come over for dinner. In the meantime, we have to find a time for us to come over and visit you guys! Just made this on Sat. 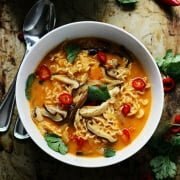 night, SOOOO amazing…never buying store-bought again – in the process of a blog post & will most definitely link up to you! Thanks! !